In a short time, the Diotima Quartet has distinguished itself as one of the most outstanding interpreters of the contemporary string-quartet repertoire. It was high time to invite them to Leuven. They’ll play an impressive new quartet written for them by Enno Poppe, flanked by Gérard Pesson, whose oeuvre they recently recorded, and the very first string quartet by Annelies Van Parys. Believe us when we say that this autumn, there’s nowhere you’ll hear 16 strings sounding better than here. Alberto Posadas was born in Valladolid in 1967. It was there that he began his musical training, which he continued and concluded in Madrid. In 1988 he became acquainted with Francisco Guerrero, with whom he studied composition and whom he regarded as his most important mentor. The meeting represented an important turning point in his career. It was while studying under Guerrero that he discovered new techniques with which to shape musical forms. In an autodidactic manner, he explores the possibilities inherent in electronic music. Since 2006, he has worked at IRCAM on projects with live electronics in connection with other artistic fields such as video and dance. 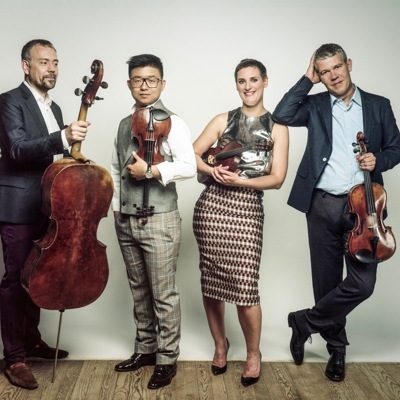 Founded in 1996 by laureates of the Conservatoire National Supérieur de Musique de Paris, the Diotima Quartet has gone on to become one of the world’s most in-demand ensembles. The name reflects the musical double identity of the group: the word Diotima is a reference to German Romantisism – Friedrich Hölderlin gave the name to the love of his life in his novel Hyperion - while it is also a nod to the music of our time, recalling Luigi Nono’s work Fragmente-Stille, an Diotima. In 2016, the quartet celebrates its 20th birthday.